How to get 3 completely free audio books - whichever you like! Home / Entrepreneurship / How to get 3 completely free audio books! Whichever you like! In the previous post, I wrote about my new favorite method to read books, while maintaining a busy schedule. Long story short, I love it and I think it’s super beneficial and practical. As I started listening to the books, I looked around to see which companies offer the best deals on audiobooks. With a stroke of luck, I came across a couple of platforms that allow you a free trial, which you can use to download and listen to the entire book. Or books, even. 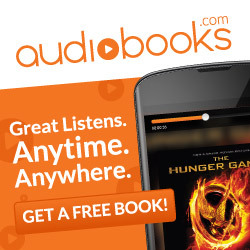 The first, and still my favorite platform, for audio books, is audible.com. It’s a company by amazon and they offer a huge library of books that you can pick from. That and a really good and reliable mobile app, so you can listen to your books on iOS / Android. 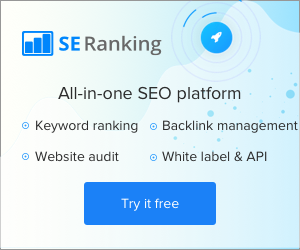 They offer a completely free audio book – all you have to do, is to register through your Amazon account and you will be awarded with 1 free credit, that you can use on any book that you like. If you don’t like the service, you can cancel the membership without any problems or costs. If you do like the service, they do offer a membership that includes credit for one audiobook every month, for $14.95/month. They also have some bigger packages, if one book per month is not enough for you. Audible’s library is huge, the user experience is great and you can cancel at any time, so the first book will cost you absolutely nothing. I have listened to, at this moment, 10 audio books on Audible, for a total cost of about $65! Pretty great deal, if you ask me. Bonus tip: They do offer you additional promotional offers when you cancel your membership – they offer you 2 books for a price of one and similar, if you decide to stay. More free audio books? Sure! Next platform I came across was audiobooks.com. They have a bit smaller, but still pretty big library and also mobile apps, that provide pretty good user experience as well. They promise 1 free audio book to start, but if you pay enough attention to their emails, there is a way to also get the second book for free. So, you register on their page, download an app and you are awarded with one credit, that you can use on any book. Great, right? Well, soon enough they will email you with additional offer – they ask you to review their app on iTunes or Google Play Store and they will send you another credit for absolutely free! Leave a review, send them an email with your email address that you used to review their app and they will send you another credit in a matter of hours, or day or two at most. 2 minutes of work for a book?